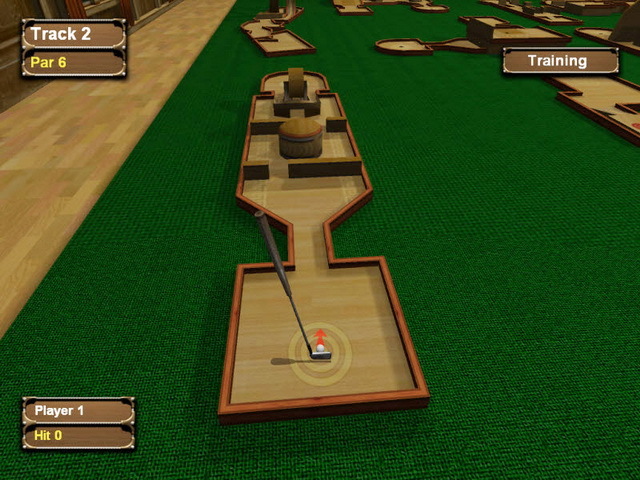 Mini Golf Championship allows you to test your skills against computer-controlled players on 3D replicas of the world's top courses. New to the game? Then learn the ins and outs in Training Mode. After you've mastered the simple controls, you can show friends and family what you've learned in Multiplayer Mode. Crisp graphics, beautifully animated greens and realistic physics will help to immerse you in the experience. ...... And unlike the real world, you can save your progress and reload it at a later time. It's time to find out why mini golf rocks! Play with your friends Online or on the same computer for endless fun! Enjoy Golf on your PC! 18 holes of golf and 6 mini games. Play Golf on your PC with more enjoyment! Play Golf on your PC with a single mouse! Embrace the Queen & Shoot the Moon! Revisit this Classic and Learn Flying Kings! The perfect combination of board & card games. A real classic! You are participating at the Muay Thai championship! Qweas is providing links to Mini Golf Championship 2011 as a courtesy, and makes no representations regarding Mini Golf Championship or any other applications or any information related thereto. Any questions, complaints or claims regarding this application Mini Golf Championship 2011 must be directed to the appropriate software vendor. You may click the publisher link of Mini Golf Championship on the top of this page to get more details about the vendor.